Registering for an account allows you to place orders, as well as record and manage your personal data. Anyone can register an account with us. 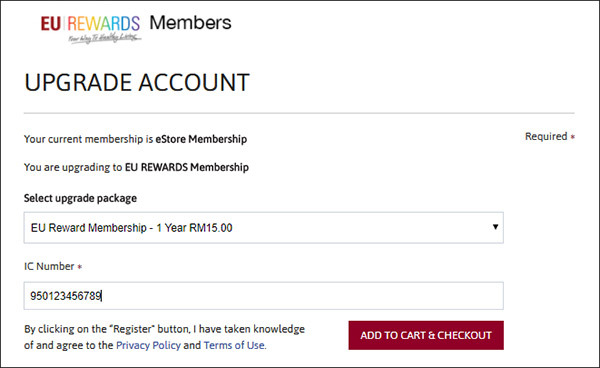 For Eu Rewards members, earn and accumulate your points when you shop online. Sign up for an online account now! To register for an account, simply provide your name, email address and a password. Click the at the top of the page. 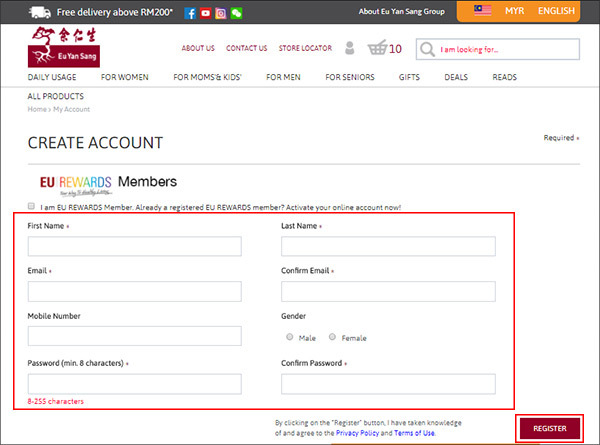 Fill out the CREATE ACCOUNT form with the necessary information and click REGISTER. A confirmation message will appear and a confirmation email will be sent to your email address. 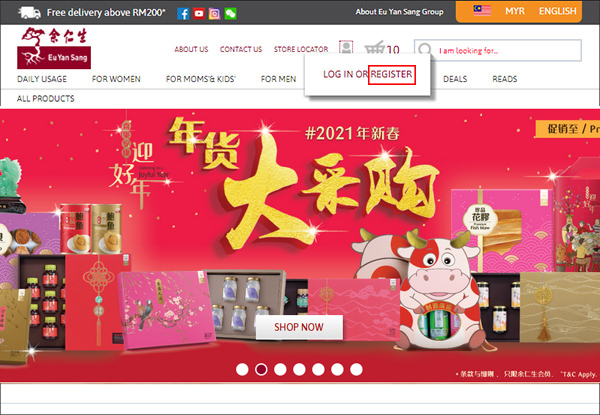 STEP 5- Log in to your eStore account. 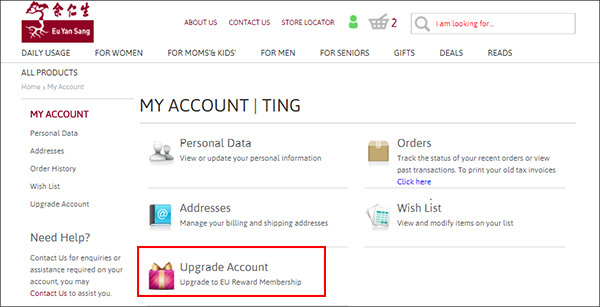 STEP 6- On your account details page, click on Upgrade Account. 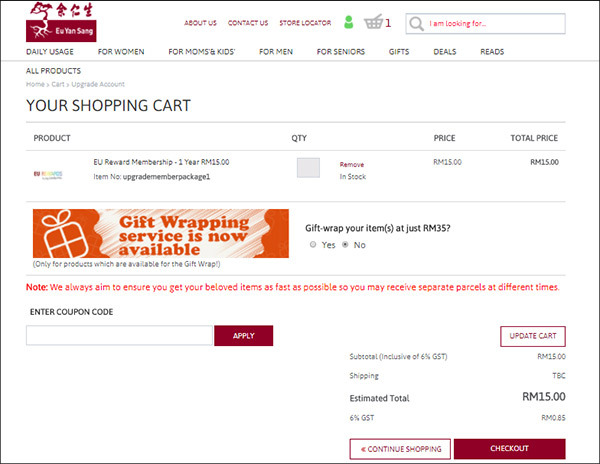 STEP 8- Add items to your shopping cart with minimum RM200 & above. STEP 9- Apply the code "200FREEAPPLY" at "ENTER COUPON CODE" field, and then "Click "CHECK OUT" to process.